Create + Build Camp is a “best of Bridge” assemblage. Kids enthralled by crafting, excited by invention, and eager to MAKE will love this week long camp. Hosted at Hemisfair, and programmed by Bridge Projects. 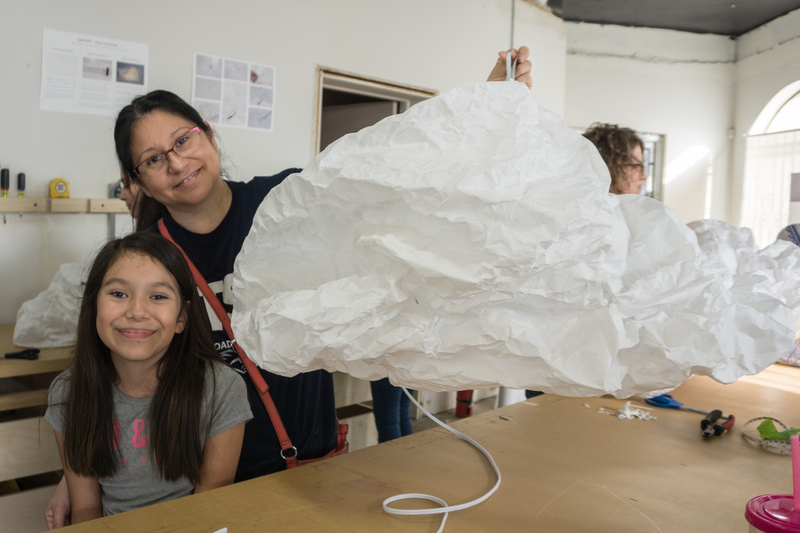 -Creating a Paper Cloud Lamp. -Sketching and sculpting from life in the Hemisfair District. -Build an epic lego, cardboard, sculpture city! -Hot afternoons spent playing in Hemisfair’s famous splash pad! The Idea: Our mission is simple, we want people to be making things. Every student will leave camp with 2 custom LED lamps, a kite, and the confidence to start new projects on their own. More than a ready-made project (and free of popsicle sticks or glitter) Create + Build Camp is fun and confidence building! The 1 Week of Create + Build Camp ticket is sold out. You can try another ticket or another date.